This really isn’t a surprise. As more devices find their ways into kids’ hands, leftovers from adults and older siblings, tablets are considered “throwaway” devices these days. 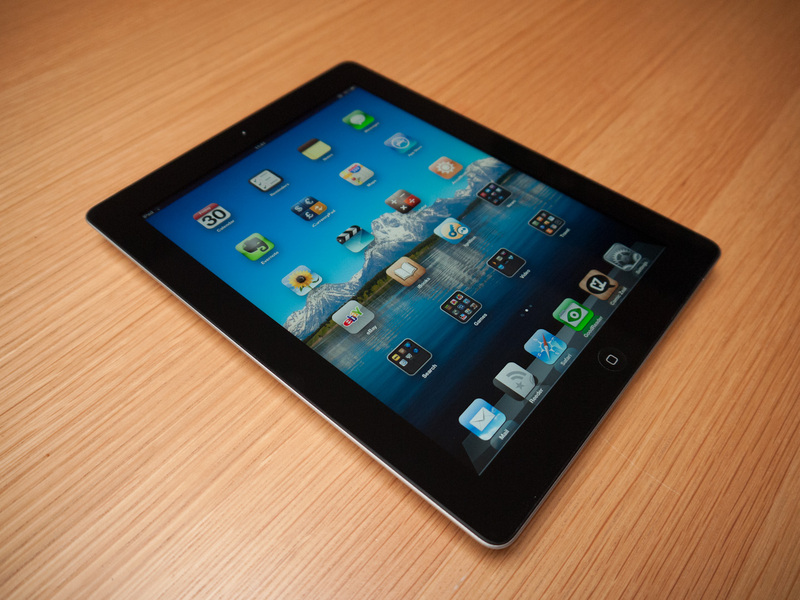 Tablets, on a downslope, are finding their way into recycling bins everywhere. Who better to recycle a tablet with than a child who may not have high expectations for a faster device? New research has unearthed a dramatic increase in the number of young children who have their own tablet device–42 percent compared to 1 percent in 2011. The research from Common Sense, which examines media use by kids ages 0-8 and is the third installment in an ongoing series that tracks media and technology use, also uncovered an increase in the amount of time children spend with mobile devices–48 minutes, up from just five minutes in 2011. The Common Sense Census: Media Use by Kids Age Zero to Eight is based on a large, nationally representative sample of respondents and replicates methods from 2011 and 2013 to gauge how media environments and behaviors have changed over the years. 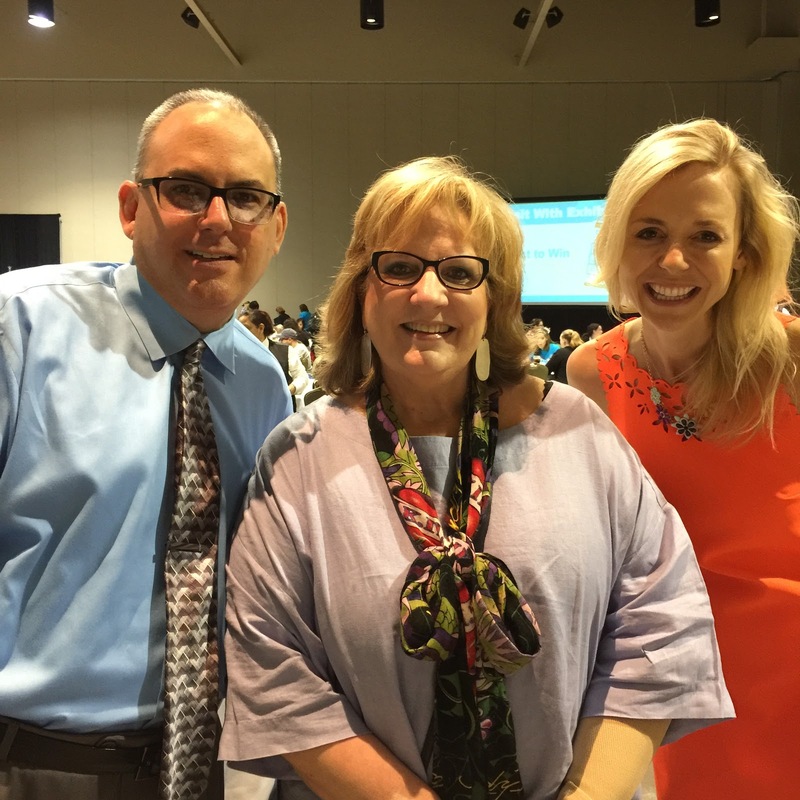 In June, 2016, I had the opportunity to travel to the TCEA Tots and Technology Conference taking place in Galveston, Texas for elementary educators. When I attend conferences like this one, it can be overwhelming to process all the information that’s being shared. Note: This blog entry originally cross-posted at TCEA TechNotes Blog! That’s why I took a few moments to start up the Voxer app and interview folks on the way to TCEA Tots. Below, you’ll find short “voxercasts.” The Voxer app makes it easy to record content and then quickly share it. I bookmarked the Tweets where I shared the Voxercasts and you can subscribe to the #TCEATots Voxercasts RSS feed via the Diigo social bookmarking tool. These TCEA Tots voxercasts really help capture the flavor of this fantastic conference geared to teachers of young children. Note that links below will open to a Voxer page. Green Screen Tips from Dr. Bruce Ellis – This conversation really blew my mind, so to speak, and sharing the tips Dr. Ellis included in his overview of green screen tips caught the attention of pre-conference attendees in my Become a Storymakersession. GeoGuesser with Dr. Bruce Ellis – This conversation expands on social studies/geography connections possible with GeoGuesser, a Google feature I had never heard of. In fact, when I spoke with Lampasas ISD teachers who were presenting on virtual field trips and geo-related activities, they did not know about it either. 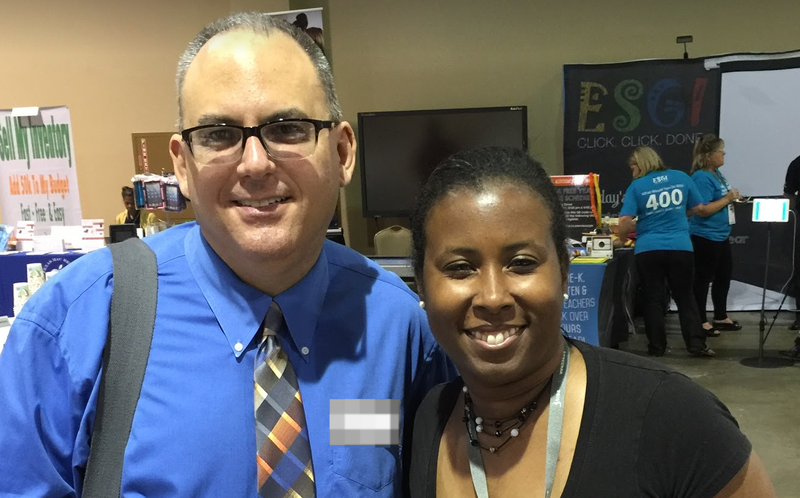 iPad Sharing Made Easy (Part 1) with Miguel Guhlin – This conversation has me sharing about iPads and getting information out there. I highlight several apps, including Readdle Documents and Seesaw. This is a two-part series since we were having too much fun, and Part 2 also mentioned Android. iPad and Android Sharing Made Easy (Part 2) with Miguel Guhlin and Dr. Bruce Ellis – You may have noticed that the previous voxercast was cut short. This is the second half. Notecard Confessions with Pedro Delgado (El Paso ISD) – What a joy to chat with Pedro Delgado (Twitter @neuropete01), TCEA Teacher of the Year Award finalist. He describes how he and his fourth and fifth grade students adapted the Paper Slide Videos, which I shared in my pre-conference session at TCEA Tots and Technology, to create Notecard Confessions. Check out Pedro’s phenomenal web site here. Virtual FieldTrips and More with Sherrie Berry and Shelley Kozma (Lampasas ISD) (shown right) – We discussed Seesaw, as well as other awesome ideas and tips in the iPad classroom. This really addresses collecting student work from iPads. Also discussed Microsoft in Education, as well as Skype in the Classroom. And Google Lit Trips were also referenced. Catch them on Twitter @shelleykozma and@sherrie_berrys. Digital Storytelling with Dr. Martha Green (Texas A&M) and Cecelia “Cece” Porra – In this wonderfully rich conversation, Martha, Cece, and I discuss digital storytelling and its application for instructional purposes. Martha provides some insights into using digital storytelling for mathematics, as well as shares other ideas. Coding in the Language Arts Classroom with Kelly Hong – Listen to Kelly share what she knows about coding in the language arts classroom. Who would have thought you could “write” or “code” fantasy stories and tales with MIT’s Scratch program? Seesaw with Brittany Adcock (@adcockb10) – Listen to Brittany share about Seesaw, a phenomenal digital portfolio tool. Digital Learning Centers with Crystal Flores and Jeanine Freeman (@techtimewithj9) – This is a fascinating presentation by Crystal and Jeanine about how Crystal created audio versions of her classroom books. Also listen to Dr. Roland Rios share his reflections, too. TCEA Tots participants were asked to share their insights: What is one take-away from TCEA Tots? Other participants(TonyaHinkebein; MalvernMRS shown below with service dog, Nelson) also offered their thoughts on Promoting Technology Use in their classroom. Collaborative Grant Writing (Part 1 and Part 2)– This was an enlightening session regarding crowdfunding (e.g. DonorsChoose) with Brandi (@aesfinearts) and Mandy Bryan (@mandyrbryan) and collaborative grant writing tools. It resulted in two parts. Be sure to check back for even more interviews from TCEA Tots and Technology 2016 in Galveston, Texas. And if you want more learning for elementary educators, consider joining TCEA for the Tots Frisco conference July 24-26. “Those are all valid complaints,” I responded. 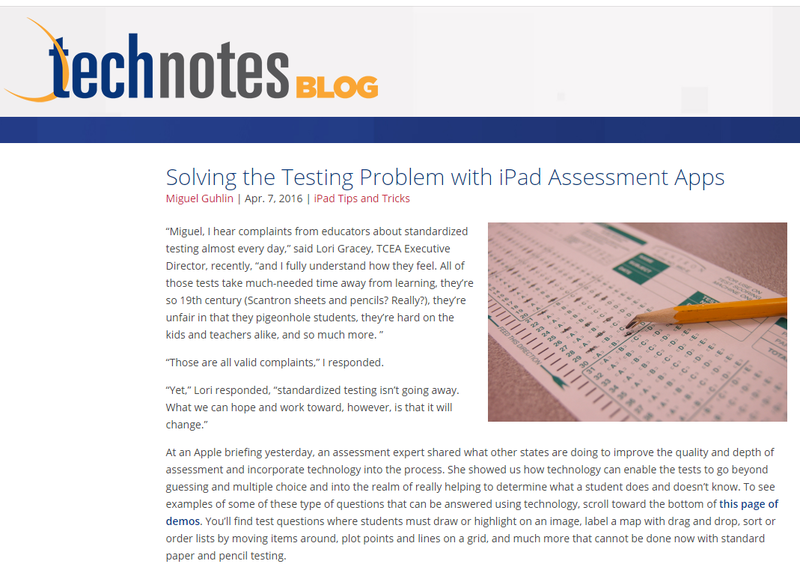 At an Apple briefing yesterday, an assessment expert shared what other states are doing to improve the quality and depth of assessment and incorporate technology into the process. She showed us how technology can enable the tests to go beyond guessing and multiple choice and into the realm of really helping to determine what a student does and doesn’t know. To see examples of some of these type of questions that can be answered using technology, scroll toward the bottom of this page of demos. You’ll find test questions where students must draw or highlight on an image, label a map with drag and drop, sort or order lists by moving items around, plot points and lines on a grid, and much more that cannot be done now with standard paper and pencil testing. You see, my iPad 3rd generation, which I used almost every day since I bought it in March, 2012, has died. At the time, I thought it was a great investment…given that I have used it every single day since I bought it, I realize I got more than my money’s worth out of it! Maybe if I could install GNU/Linux operating system on my iPad, it would be vibrant and alive again, but as of right now, the sound is dead, and it’s behavior erratic. With several other computing devices, among them an iPhone 6, an Amazon Fire, a Chromebook (Acer C720), a Mac Air, and a Dell Latitude 3340 (last 3 work devices of differing ages), I’m not sure an iPad will be needed. I spent almost $1,000 on my iPad 3rd gen…64gigs of storage, which I never filled to capacity although I gave it my best shot. Fortunately, consulting was still a big thing in 2012, and I was able to afford the almost $900 iPad, and then about $100 in critical apps. Keynote, which was free, was worth the power alone, simply because it made it possible to embed video in the slideshow. But now, I have to admit that my iPhone 6 is powerful enough to do video editing, and if I really have to get something done, I’ll probably do it on there. Otherwise, Chromebook+Screencastify+WeVideo+YouTube will be sufficient. Ok, that was a short list. The rest of my favorite apps, I hardly ever use anymore on the iPad, instead relying on my iPhone or Chrome/GoogleApps. And, all the video apps that I once watched television and movies on, well, those work on the $34 Amazon Fire I bought on a whim. Whatever will I do with the old charging cables scattered throughout my house? I wonder if I can use them to power my iPhone without “over-charging” or causing iPhone battery problems. For now, farewell, iPad 3rd gen. You were my faithful companion all these years, and truly broke my grip on the keyboard for consuming content. But, you know, there’s no friend like an old friend. 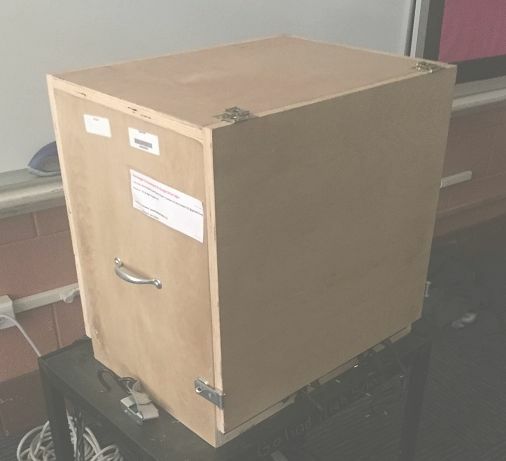 We are just getting started with a Chromebook deployment, and I am looking for lockable storage/charging cabinets that will hold at least 20 Chromebooks and allow them to charge overnight. They don’t need wheels. I just need a way to lock up and charge classroom sets of Chromebooks. Do any of you have anything like this that you really like? Of course, for 20 Chromebooks, I wonder why not use a 6-device capacity Copernicus TechTub from Troxell? NEW Adjustable dividers to accommodate up to six devices and cases. Troxell offers great pricing (one district reported $172) and well-worth it! That’s about $688 for 4 TechTubs, each holding 6 Chromebooks each…and we’re talking about popular 11-inch Chromebook models from Dell, etc. My contact at Troxell is Trenton Brackley ((800) 352-7912 x6304; trenton.brackley@trox.com). What solution would you recommend? Today, we’re actually 1 to 1 with the whole district. How do you want to get better? Question: Tell us more about city building. Our superintendent is really behind this and they have been working with city to get more WiFi access points. Have discussions to ensure access from home. When we first started, students didn’t have access. 75% of the apps don’t need internet. Let’s start with baby steps, look at ways we can save things off the internet while at school then take them home for resources they need. If you go through our Smore, you’ll find several stages of professional learning. With our elementary students/teachers, we did a “tech week.” THese are success stories that we have even today. After Tech Week, we asked ourselves, “What can we do better?” Each teacher would do 1 app or web tool…teacher did one thing, but students got to do all of it with different teachers. After 1 hour, students started creating content on their own. After awhile, teachers start teaching each other. Teachers started using digital copies and this made it easy to turn stuff in…kids would just send in the links to their work. Ask yourself what the end product will be. Post everything about kids about Twitter. 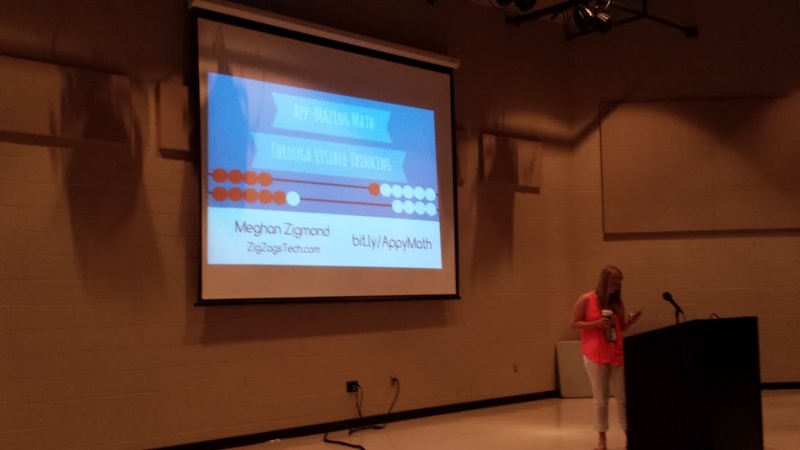 This session, App-Mazing Math through Visible Thinking, by Meghan Zigmond (@zigzagstech)–http://zigzagstech.com–was shared at iPadpalooza 2015 conference. You can find resources online at http://bit.ly/AppyMath. Be sure to check out Meghan’s ThingLink page. Announcement: Join #etdrive, a Texas wide conversation focused on 3 strands using “push to learn” technology, VoxerChats. Follow these two steps to begin your learning journey now. Meghan (@zigzagstech) getting going about 20 minutes before her 8:15am session. What a wonderful personality! I’m all about visible thinking. Lot of first grade, second grade teachers in the classroom. A few middle school students. You’ll be seeing a lot of first grade examples. A lot of these things are applicable to all grade levels. 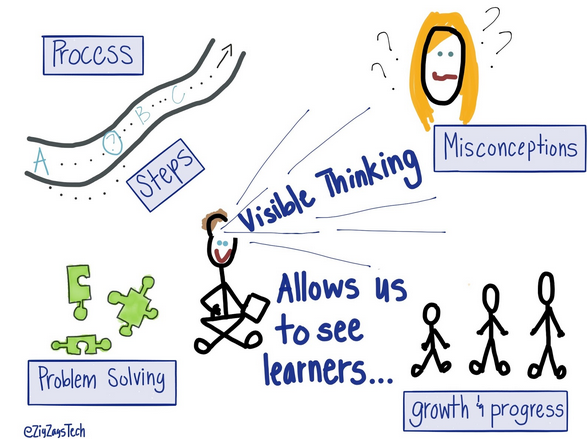 With visible thinking, you can see where students get stuck…and this means you can reteach. You have an amazing portfolio of their work when you blog and share their visible thinking. Mathematical thinking…explain, show, justify, apply, record, analyze, organize, choose tools. You can’t do all those things in a worksheet. 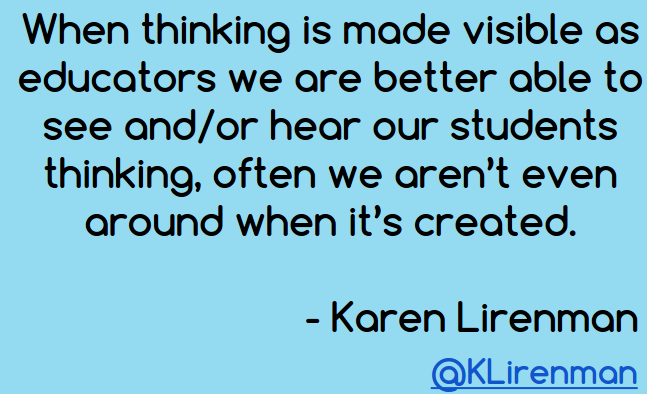 Visible thinking and creating projects…it does all of these things. “One more preach…” before I show you some examples. “Tool is one thing but the way we look at it is much more important.” -George Couros. I want to challenge your thinking…are you handing them a game or are you handing them an iPad that is going to help them share their thinking? 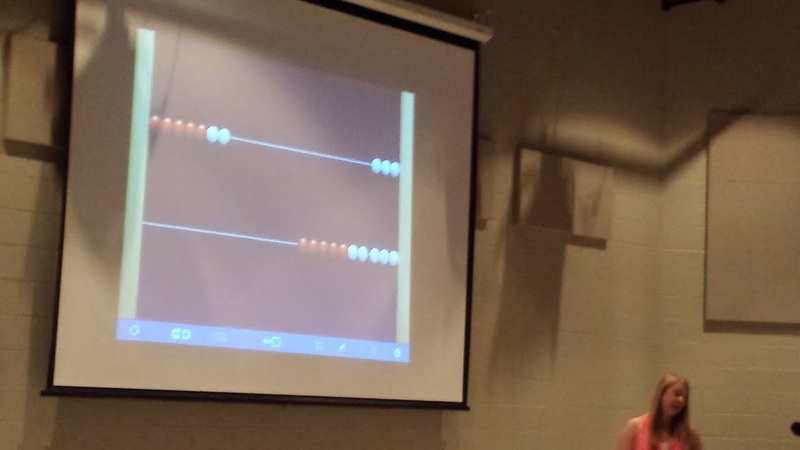 App demonstrations…virtual manipulatives. Using these on an iPad is just as good as using them in “real life,” however some students may prefer the real ones to the virtual. Students will also take pictures of real manipulatives, just like you can take a picture of the virtual manipulatives. If you give students time to play, they can figure out the apps. Students share with each other how to use the tools during group share. Meghan allows them play time. Students were then able to have conversations about the different graphs. 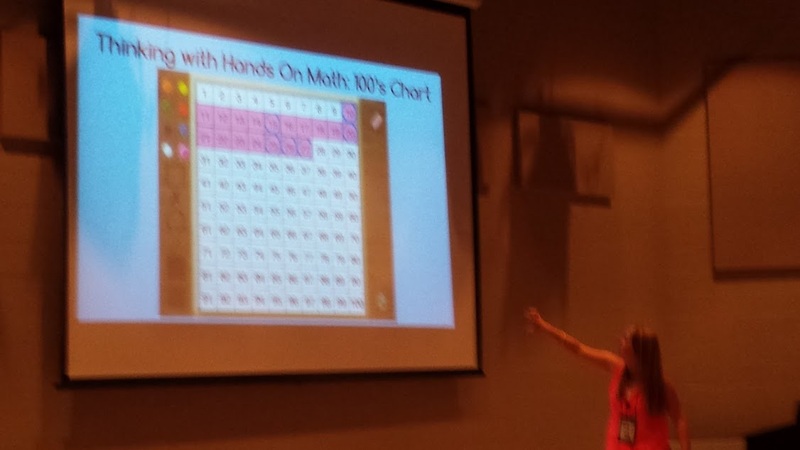 AppSmash Ideas for Math…check the slideshow above for links. Check out Task Cards and App Menus…very nice!! Show It with Scene Makers…awesome story problems! I encourage you to use blogging/Kidblog to create individual portfolios! It works great to share with families and creates a record of growth and visible thinking all year long. I just think it’s a powerful tool. Tweet me if you’re interested in becoming a blogging buddy. Grading: I keep extensive Google Drive notes. We’re doing a developmental report card. I keep anecdotal notes. Watching these creations, you can understand whether they get it or don’t. I’m glad I don’t give grades. You can find another version of notes from 2014 presentation that Meghan did online here.